Instructions: Close left eye and fix right eye on the cross. 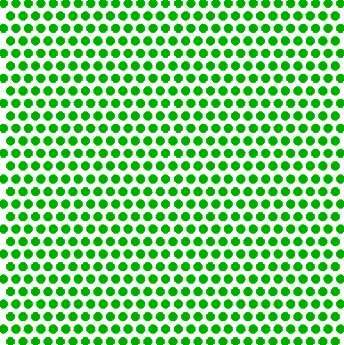 Place eyes about 12 inches (30 cm) away from the monitor (distance may vary depending on the screen resolution) and notice the dot disappears. . The following examples demonstrate the "filling-in" phenomenon in greater detail. Apply the same instructions as given above and notice the red markings each time are replaced by the most probable pattern that your brain is able to perceive. Try and count the dots in the diagram below. Despite a static image, eyes will make it dynamic attempting to "fill-in" the white circle intersections with the black of the background. Quite an amazing effect! 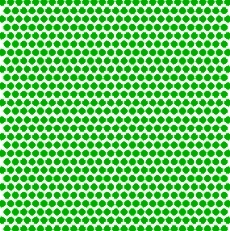 Instructions: Simply stare at the white circles and notice the intermittent blinking effect. This "adaptation mechanism" allows eyes to recover from an oversensitivity to a particular stimuli. "Chromatic adaptation" occurs when eyes adjust to certain color stimuli. For example, when entered in a movie theater on a sunny afternoon, room appeared dark but as visual system adjusted to dim lights we were able to see better again. Follow the instructions below and see how the visual system responds to a color overload. Instructions: Fix eyes on the black spot in between the uniform cyan and yellow areas for about 30 seconds. Then look down and shift your gaze to the black spot in the 2nd image. 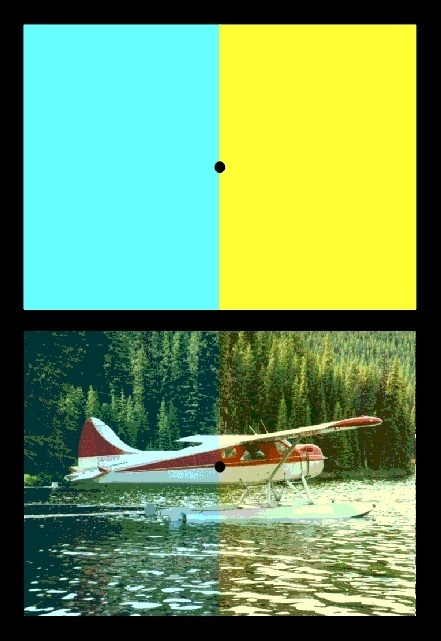 Note that the image of the seaplane appears approximately uniform after this adaptation. Almost 10% of human males experience color vision deficiency (compared with 0.4% of females). The most common form of these abnormalities is characterized by an inability to distinguish between red and green hues. Instructions: The following images are part of The Series of Plates Designed as a Test for Colour-Deficiency by Shinobu Ishihara M.D. which is the accepted standardized color blindness test. They are specially adjusted to isolate the exact deficiency experienced by the viewer. What do you see in the plates? This is a test plate in which everyone should see a "12". This plate is designed to separate the type of color defectives and the level to which they are observed. Most will see the number "26" clearly while some will only see a "2" or a "6" or no numerals at all. Can you trace a line from one "X" to the other? Someone with normal color vision will trace a orange/brown purple line and those with a slight deficiency will follow a different path. Simultaneous Contrast (colors taking on characteristics of their complement) is occasionally take precedence over by the Spreading Effect. This occurs time and again when there is a difference in the "spatial frequency" of objects on a background. After analyzing the diagram below, see how this tactic can be applied to the design of tapestries in order to preserve certain color sensations. 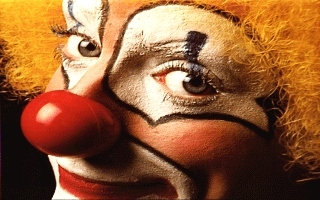 Dithering is a color reproduction technique in which dots or pixels are arranged in such a way that allows to perceive more colors than are actually used. 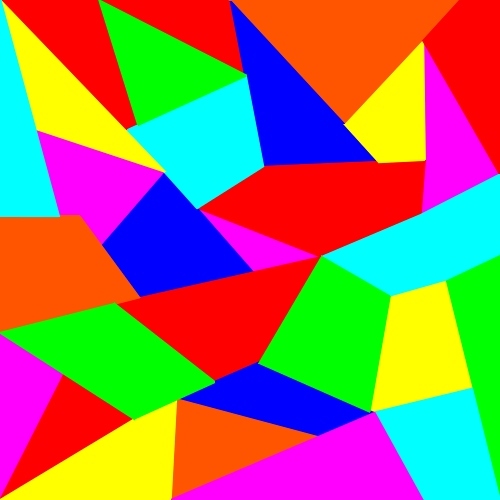 This method of "creating" a large color palette with a limited set of colors is often used in computer images, television and the printing industry. 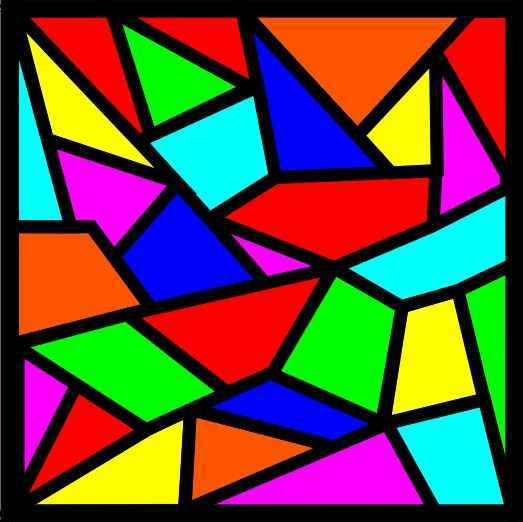 Although there are no actual triangles that appear on your eyes' retinas, your brain will somehow interpret the following image as two overlapping triangles. Is this imagination? Are you losing your mind? No, the notched circles and angled lines merely suggest gaps in which objects should be. The brain does the rest by triggering a sort of pattern recognition phenomenon. The nature of our visual system allows us to sometimes see "after-images" which appear once the original stimuli are removed. In the following demonstration, you will see that the colors in after-images are usually the opposite (complementary) colors of the original. 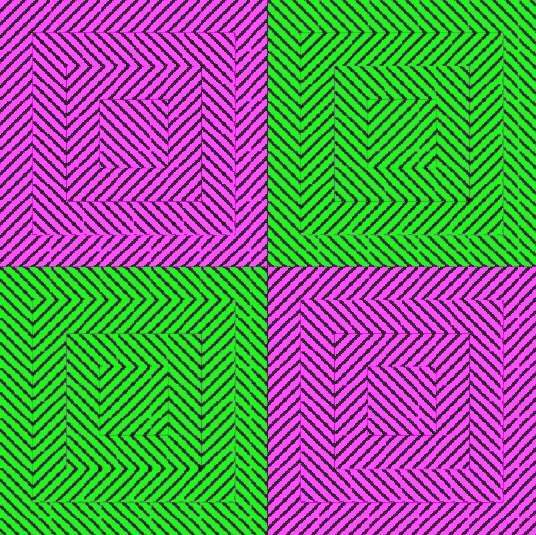 Instructions: Stare at the black spot in the center of the four colored squares for about 30 seconds. 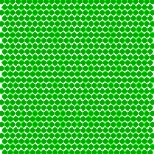 Then scroll down and move your gaze to the black spot in the uniform white area. 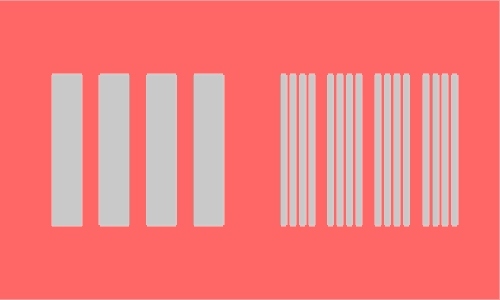 Note the colors of the afterimages relative to the colors of the original stimuli. Did they appear different?